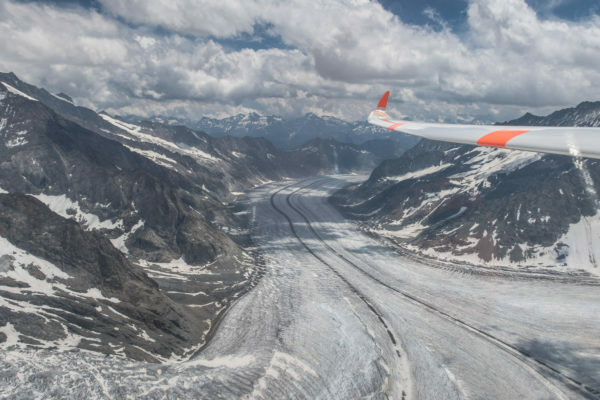 I’m (JP Stewart) back in Switzerland and work has kept me busy 6/7 days but I had the incredible opportunity to fly with Daniel last weekend in the Alps for 7.5 hrs and ~400k. 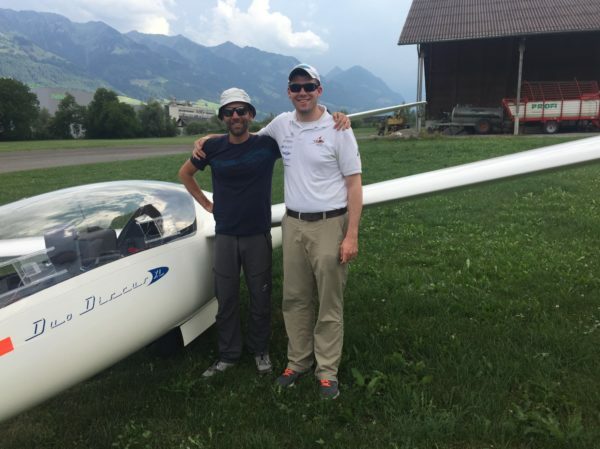 It was an amazing experience and I hope to be able to do it again sometime – thank you Daniel and the club members of Segelfluggruppe Obwalden for the hospitality! I took the train to Kaegiswil (this is Europe after all) and walked to the airport to meet Daniel and the other club members with a bleak overcast sky thinking that after finally having a free day, the weather was going to be a bust. 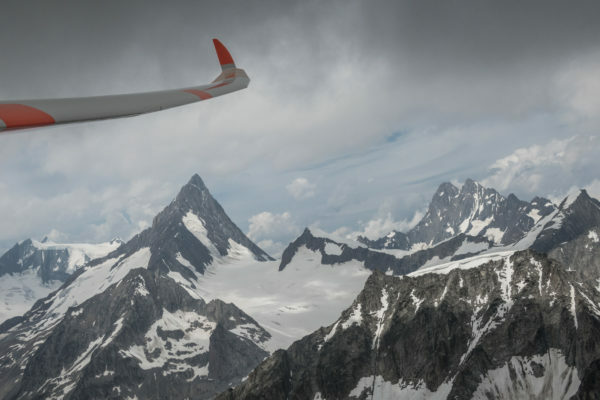 After a quick round of introductions, we went to get the glider (a Duo XL) and ourselves ready while the sky slowly opened up. I was a bit surprised when Daniel said that we were going to launch, it was 10:30 and the sky was still pretty rough looking. After a very very smooth tow for the first ~1500m we finally start hitting some bumps. 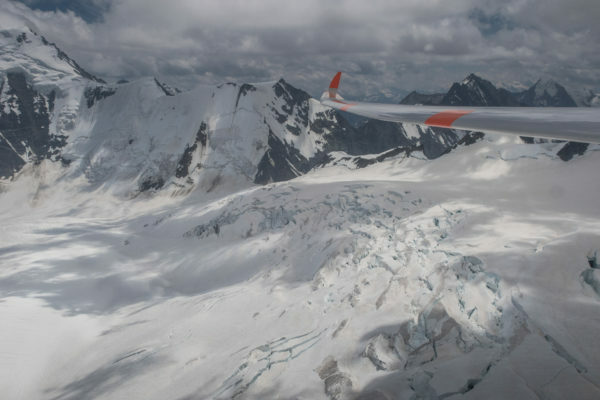 Off tow we find a few weak climbs and are both getting confused because there seems to be no sense to where the lift is… After a few failed attempts to go more than a few miles and some scratching in near 0, things start to look a bit better when we get a good 1.5 m/s climb. From cloudbase, we head west along the ridges and slowly bump our way along. 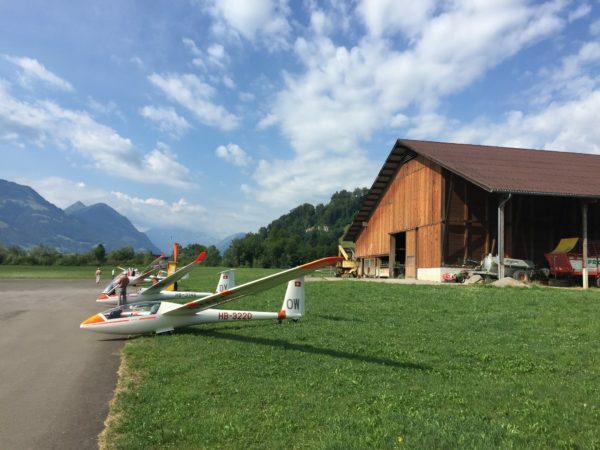 We find plenty of other sailplanes and paragliders on the way and stop just past Interlaken and work to climb a few hundred more feet before crossing the valley and working our way south. A few hours in now, I’ve been having a great time „rock polishing“ when Daniel announces that we’re about to leave the pre-Alps and go for the real thing (and here I thought the mountains were already pretty big). Oxygen on, we climb up through ~11,000 ft and begin crossing through the passes. 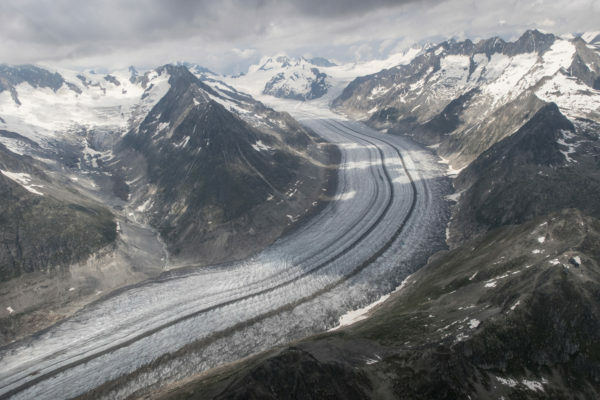 We run along the rim of the largest glacier in the Alps and work our way east. 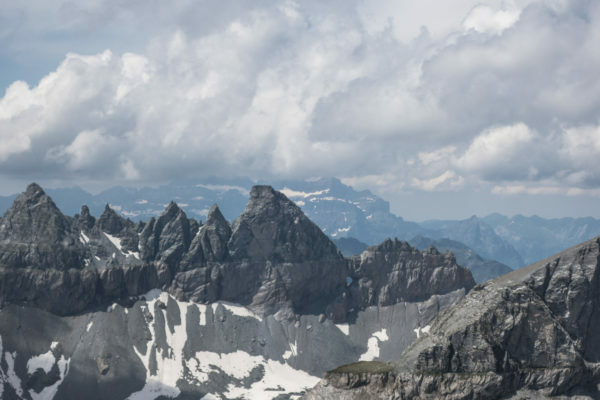 Just off in the distance, you can see the Matterhorn standing tall (this is a pretty small country). 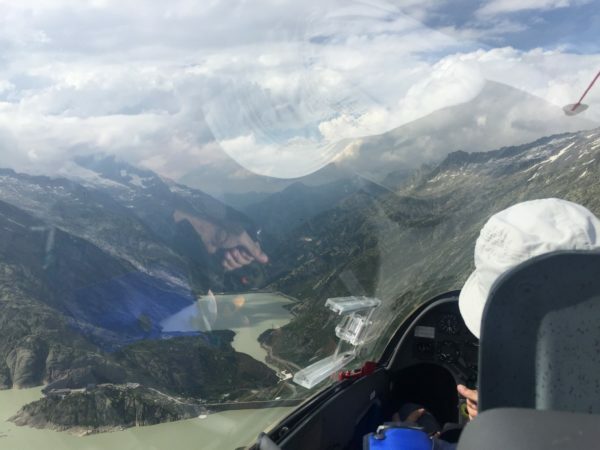 We head up the valley for a while making good progress and decide to head back before some approaching cirrus will shut us down. … Turns out that it was already a bit too later and we got quite low and started heading for a landout option when we found a little bubble to hold on to. 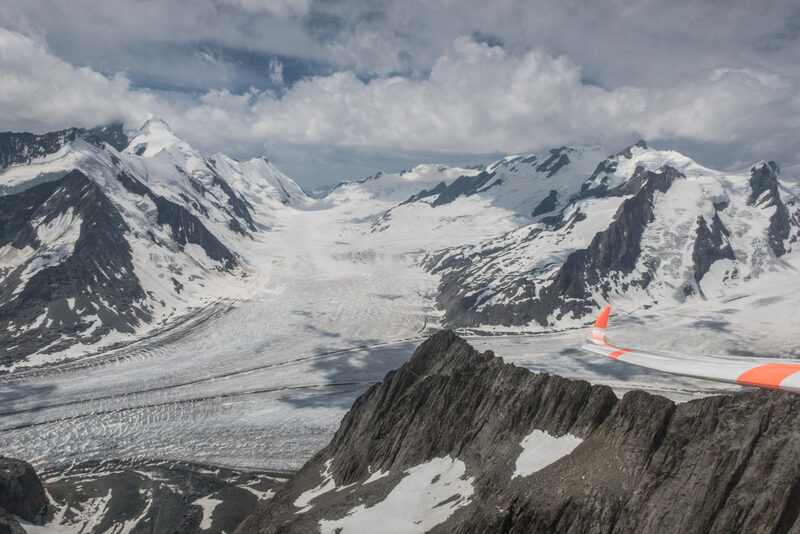 We crossed to the sunnier side of the valley and after some slow climbs there, found a rocket of a thermal (5 m/s ~ 10 kts) under a dark sky… (who would have thought)… Now back on top of the world we work our way back to the west where we cross over the top of a road that drops away below us. The sky is nearly completely covered here and we start planning again for a landout when I find a little bubble on a hill and we slowly work our way back up. 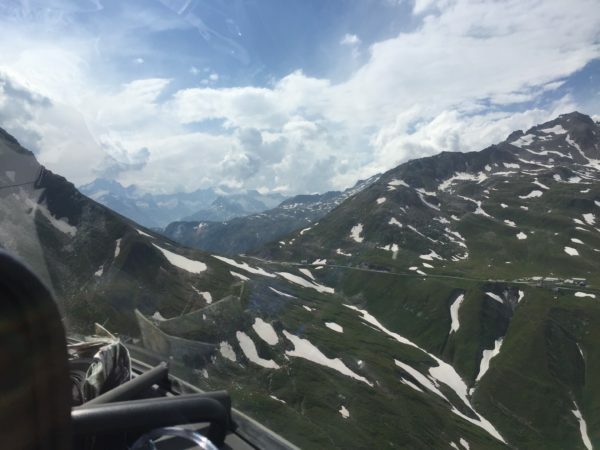 Our odds of making it home still aren’t great but they are looking better so we fly over a lake and another mountain pass to the north to head home. It starts raining but there’s some weak ridge lift that keeps us going until we get back in the sun and find our final glide climb. 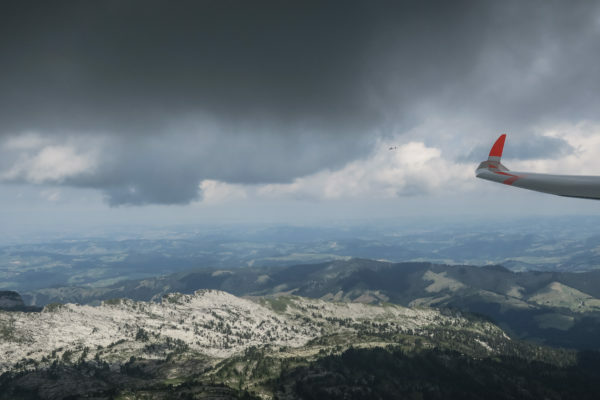 Once we have home assured we make a quick trip back to Pilatus mountain (the same place where I saw the gliders from the ground a few weeks before) and go land. After 7.5 hrs and a few near landouts, we were pretty tired but it was an incredible experience and a lot of fun. Thanks again to Daniel for the opportunity to fly in such an amazing place.